Here are the list of Zee World Actors and Actresses that were replaced in an ongoing series this year and the reason for their replacement. Read below! Neha Marda is widely loved by fans for displaying the heroine character of ‘Urmi’ in (Doli Armaanon ki)” Lies of the heart“. It brought so much sadness to the viewers when she was replaced with Manalsi Salvi. 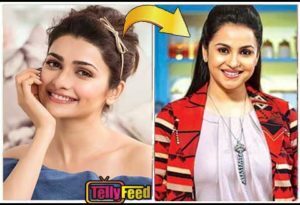 Which is why we bring you the reason Neha(Urmi) was changed from the show. At first, the actress had complained of not given enough time to spend with her husband and family. She was later told to play the role of a mother to a 28-year-old son(Shaurya). Neha could manage the time problems she had with the producers but the talented actress refused to play a motherly role to a grown-up son. Due to this, Neha(Urmi) quit the show, leaving the fans unhappy. Shilpa Shinde is known for playing the character of ‘Soni’ in (Maayka) “My Lost home“. She is loved by the fans but unfortunately, she was replaced and Kanchi kaul was roped in to play her role. WHY DID SHILPA(SONI) QUIT? She had threatened the producers to quit “My Lost home Zee World” if her other show, “Waaris” was pulled off the channel. And it all happened when they cut off “Waaris” from the channel. Shilpa (Soni)then make it known everyone with a statement ‘i am quitting the show. My other daily “waaris” was doing well but it was shut down for no reason. I am deeply hurt by this”. She always followed her heart and left (Maayka) my lost home”, leaving the fans sad! Eva Grover first played the villain role of ‘Anita Luthra’ in (Tashan e Ishq)”Fire and Ice“. The serial hasn’t gone too far before she was replaced with Anjali Mukhi. Here is what caused the replacement of the actress. 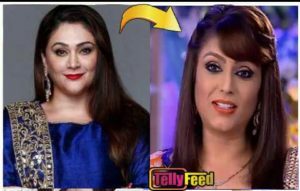 Eva Grover had to quit the show due to her health. She had a tumor on her back and her right ear, so she had to undergo a surgical operation. She made her statement “well, I needed maximum bed rest and could only report once in a week, and my role was needed almost every day”. The actress understood the producers could not wait for her return from the surgery, which was why she was replaced! Sidhant Gupta first played the role of ‘Kunj Sarna’ in TV series, (Tashan e Ishq)”Fire and Ice”. His chemistry with Jasmin Bhasin was widely appreciated by the fans. Shockingly, the actor was changed with Namaan Shaw which left many unhappy. But, why was the actor changed from the show? 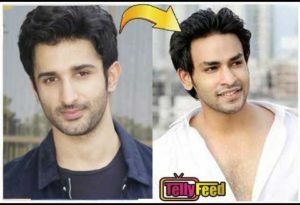 Well, Sidhant(Kunj) quit the show because he got a bigger offer. Sources had it that the makers were prolonging the show and Sidhant refused several offers just because of “Tashan e Ishq/Fire and ice Zee World”! So this time, he couldn’t reject the big project he got. Prachi Desai is one of fans favorite actress who played the character of ‘Bani Walia’ in (Kasamh Se)”The Promise“. Unfortunately, the actress was changed and Gurdeep Kohil continued her role in the serial. Prachi(bani) quit the show because she got signed on another movie where she played the role of a teenager. She would have loved to finish character on “Kasam Se/The Promise Zee World” but the producer of her new project didn’t permit her due to how she would concentrate on two projects at a time. She intended to come back after the film, but perhaps she could not make it till the series ended! Arjit Taneja captured several hearts due to his role as Purab in (kumkum Bhagya)”Twist of Fate Season 2“. However, in the upcoming Season 2 of the series the actor would be seen replaced with Vin Rana. 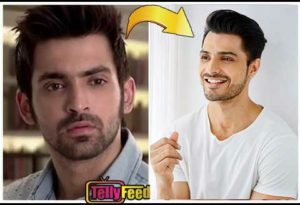 Well, Arjit Taneja quit the show because he felt he had nothing much to offer after his romantic track with Mrunal Thakur (Bulbul) came to an end. After bulbul’s death on the show, the makers diverted their attention from his character and placed more focus on Abhi and Pragya. He realized his role as Purab has lost prominence over time so he decided to quit. From our own view, Arjit Taneja got bored of his role after his co-star, Mrunal Thakur quit! Over to you the fans! Which of this replacement weren’t you happy with? Leave your comment below?